In many ancient civilizations, your social position was set at birth. It was almost unheard of for a commoner to ever achieve a position of importance in a royal court. When someone did, it usually sent ripples through society and was such a massive departure from what was normal that it often caused more problems than it solved. There have been some notable exceptions to this, such as Imhotep. This was a commoner who became so important in Ancient Egypt that not only was he depicted on artwork alongside a pharaoh, he was also deified in the years following his death in 2600 BCE. In Ancient China, a similar situation arose in the form of Lu Buwei. 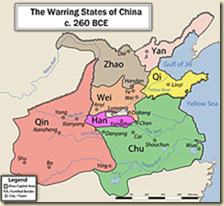 He lived from 291 BCE to 235 BCE, during a period of time known as the Warring States Period. Although there were many states that were at war, the State of Qin managed to dominate the others and its ruler became the first Emperor of a unified China. Lu Buwei had started his life as a merchant but was able to attain the position of Chancellor of China, the highest ranking official in Imperial China. During the Qin Dynasty, which lasted from 221 BCE to 206 BCE, the Chancellor of China acted as the head of all of the civil service officials. According to a biography of Lu Buwei, he had apparently managed to amass a lot of wealth as a travelling merchant. While travelling, he met Prince Yiren who had been sent to a rival state as a political hostage. 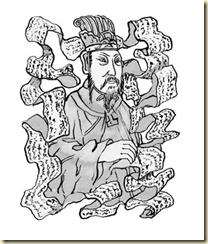 It was Lu Buwei that managed to arrange for Yiren’s return to Qin where he was adopted as the heir of Lady Huayang, a concubine who had been promoted to the primary wife of the Kin of Qin. Yiren’s name was changed to Chu after his adoption as heir. Lu Buwei had many people in his household. One was a dancing girl that was so beautiful that Chu became infatuated with her and took her as his courtesan. Her son Zheng would eventually become the first Emperor, Qin Shi Huang. There were many rumors that surrounded Lu Buwei. One was that he was the father of Qin Shi Huang and not Chu. This rumor followed Lu Buwei for quite some time and is still being passed on today. Another rumor was that he plotted with the Queen Dowager in order to permit her to carry on many illicit sexual relationships including one with a man by the name of Lao Ai. She became pregnant by Lao Ai and bore a son. A revolt took place in 238 BCE. This failed but as a result, Lao Ai was executed and Lu was banished to Shu. 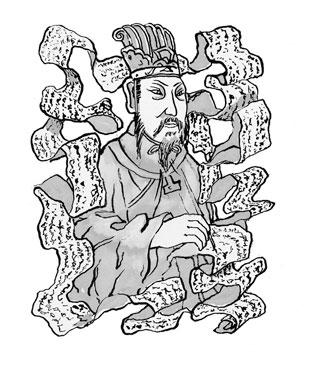 In 235 BCE, Lu committed suicide rather than be executed by the Emperor. While he had lived, his scholars and officials had attained a lot of power within the court but this was all destroyed when Lu was exiled. Lu Buwei is regarded in several different ways depending on whether you are studying Chinese or Western historical accounts. To the Chinese he helped bring about one of the worst events possible: the unification of China. To the West, he is seen as a wise counselor and a patron of both literature and culture.